1.Colorful leis measure approximately 41"circumference. 2.Silk ruffle petal flower leis, soft materials so you can wear your hawaiian neck piece all night long! 3.These colorful silk ruffle flower leis are great for Birthday Bash, Luau Party or Traveling To Hawaii. 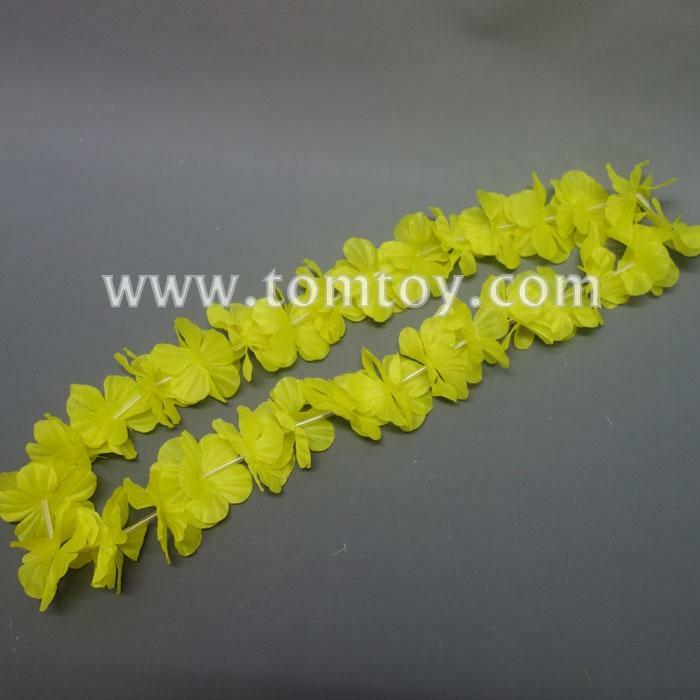 4.People will love our durable Hawaiian necklace, they are the Luau Party Leis to have fun! 5.Full length, high quality Hawaiian necklaces fit just right for both adults and kids. Let's get your tropical party started the right way!